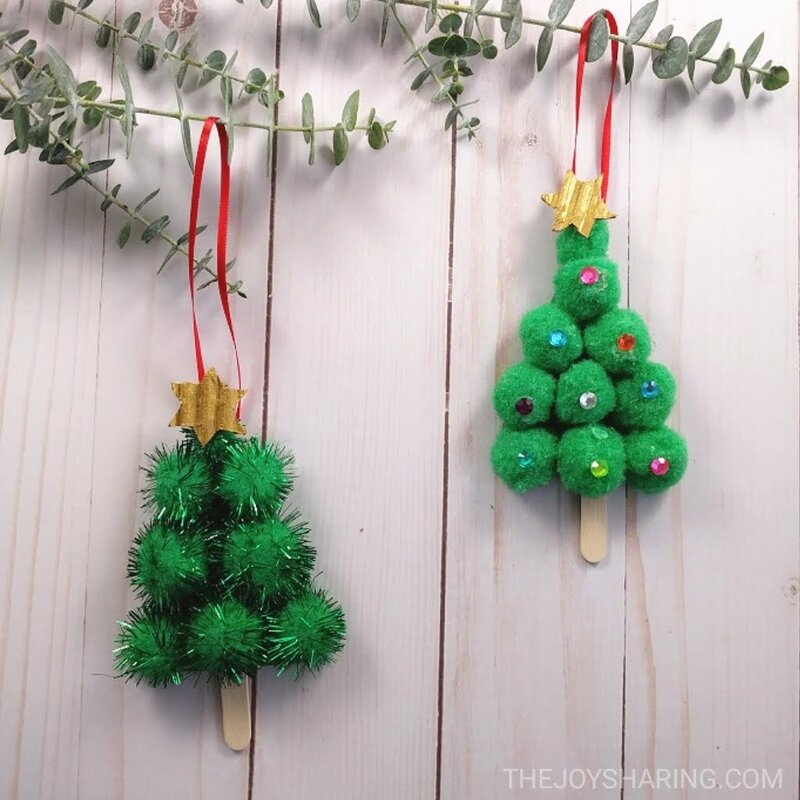 Looking for an easy Christmas tree craft to make with kids this holiday season? 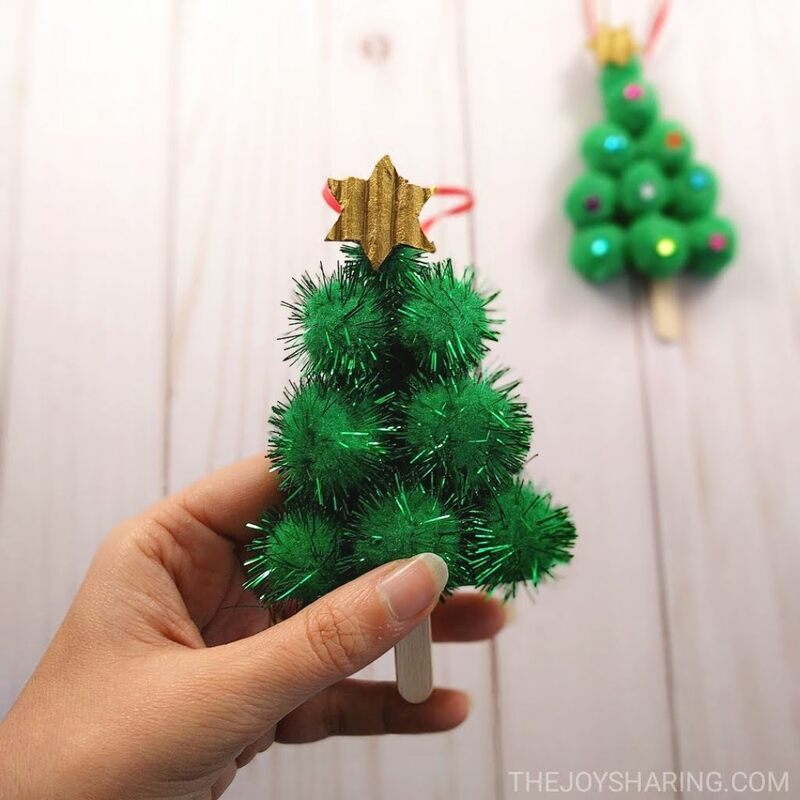 This Christmas tree ornament is a simple and cute Christmas craft that kids can make. You only need pom-poms and some basic craft supplies. Kids can freely express their imagination decorating the tree using buttons, sequin, or stickers. We have also curated 30+ Christmas Crafts for Kids and 20+ Christmas Cards for Kids. 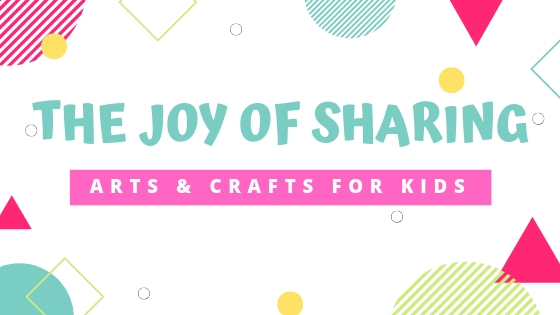 You’ll find Christmas crafts and activities for all ages – toddlers, preschoolers, kindergarten and older kids. 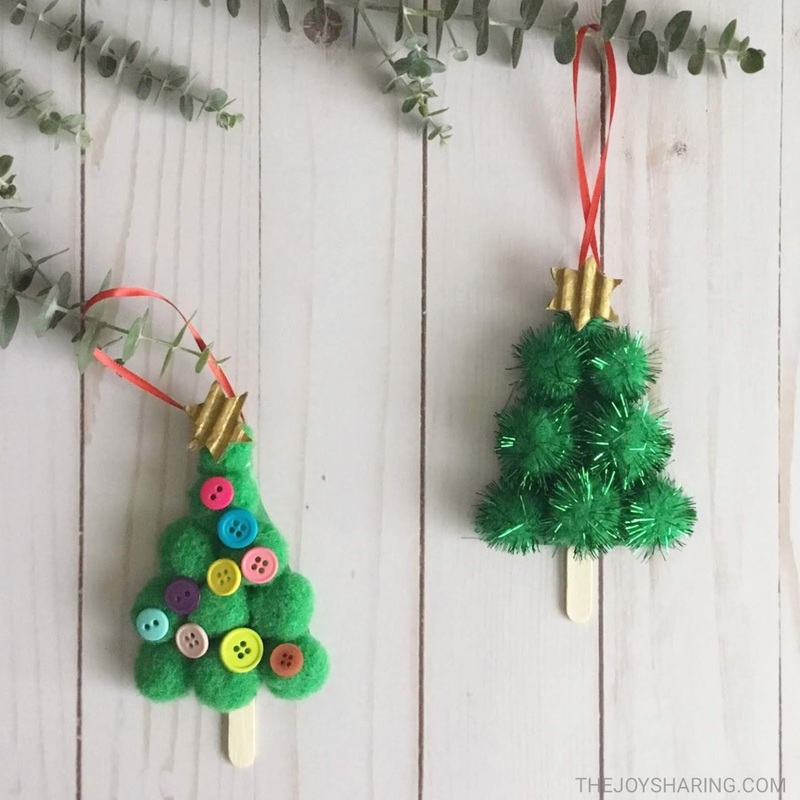 HOW TO MAKE CHRISTMAS TREE CRAFT FOR KIDS? 1. Cut out a triangle shape from a green construction paper and glue it on a craft stick. 2. Cover the triangle paper with pom-poms. 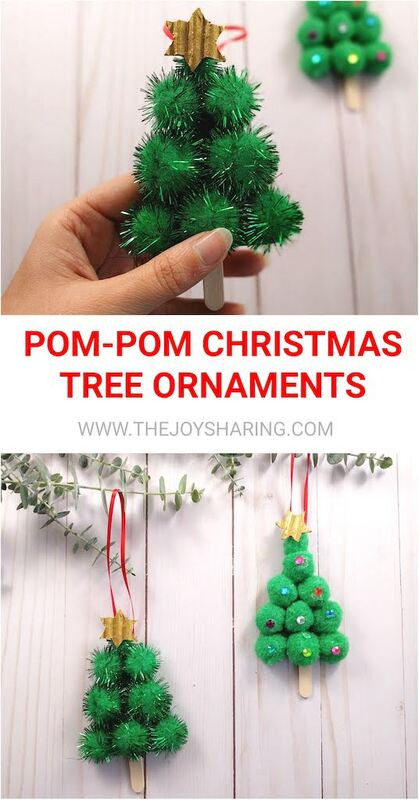 Alternatively, you can hot glue the pom-poms directly in the shape of a triangular tree instead of glueing them on a paper. 3. Decorate the tree with gem sticker or buttons or sequins if you like. 5. Lastly, glue a red ribbon at the back to hang the ornament. Thank you so much Lisa! My daughter loved making it - definitely a simple and cute Christmas craft for little ones.